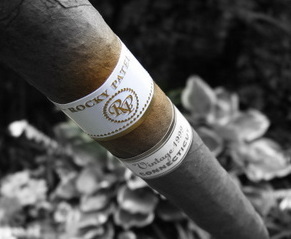 One thing that can never be said about Rocky Patel - is that he is stagnant in the market. I swear he seems to produce more cigars in a larger variety than any other manufacturer. From a Spring collection, Summer collection, Fall collection is in the works and I have heard they are bringing out more cigars (small production) more then we may think. 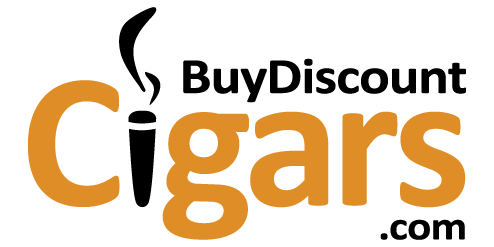 Every time I hear about him, a new city, a new state, promoting his 'newest line of cigars' and I have to say, I like it. The 1999 vintage selection brings a mild cigar to the plate that has been well received by beginner and veteran smokers alike - regardless of the lighter shade and flavors these cigars produce. 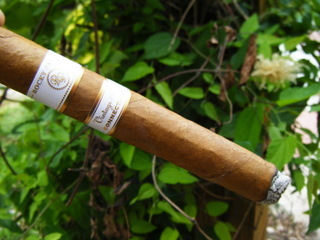 As you would expect with a Connecticut shade wrapper, the cigar itself seemed to be a little brittle although it never cracked or had any issues - I just felt as if it was thinner and more delicate even when handling it. Evenly packed from head to foot with just the slightest bit of give in the middle of the cigar. The head clipped easily and the foot produced this amazingly thin, dark black mascara type burn that was just a pleasure to watch grow and turn into a long, white ash. The first third was filled with this sudden rush of flavor, which caught me off guard with a Connecticut shade wrapper. Wood and a nutty flavor, much like a cashew seemed to coat my taste buds and were very easy to identify. 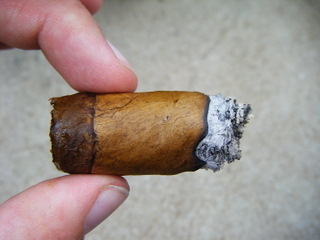 The smoke from this third, and actually the entire cigar, seemed to have a certain thick and buttery feel. The middle portion is pretty much a continuation of the first, the wood and nut notes remain in the foreground while light leather and sweet notes show themselves every so often. Not too much of a change at this point. The last third rounded up the cigar with Nuts and Wood, the leather taste from earlier becoming more prominent with each puff. When it comes to morning smokes - I really like this cigar! The buttery smooth smoke mixed with a balanced flavor profile that is just accentuated by a cup of coffee makes this a cigar that has found its way into my normal rotation. If I had to complain about one thing it would be that the thick smoke does have a tendency to dry out your mouth, but this just gives you reason to get that second cup of coffee! Add to this, an amazing price that only BuyDiscountCigars.com can provide and a box purchase recommendation is obvious!